Chimera's RKD converter hub is ideal for those who would like to keep their OEM Honda Ruckus front rim, however wants to upgrade to front disc brake. 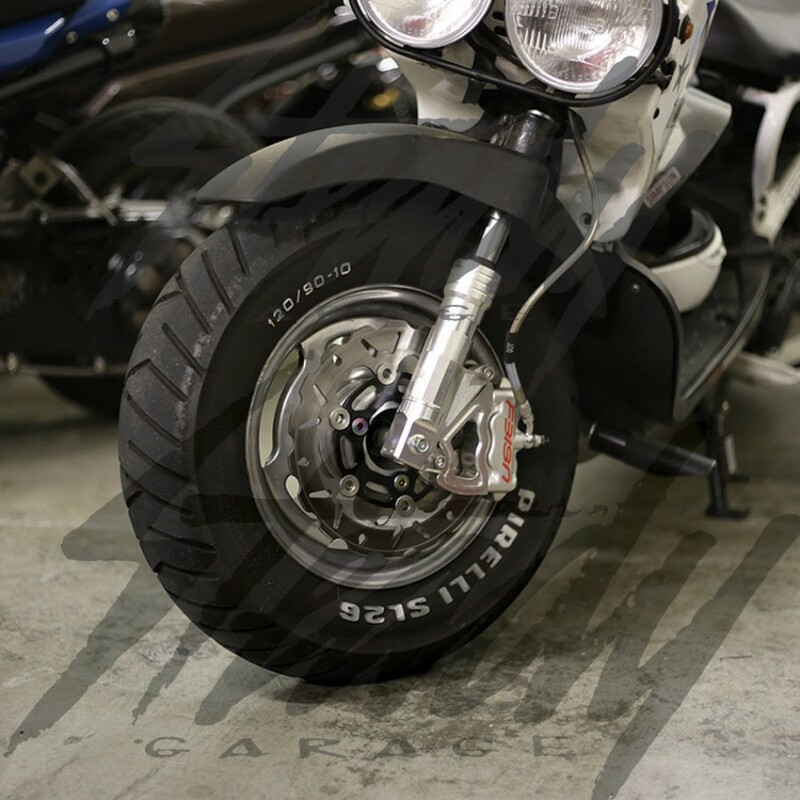 Improve braking and handling performance by upgrading the front forks and brake system on the Honda Ruckus without the hassle to find matching rims for it! 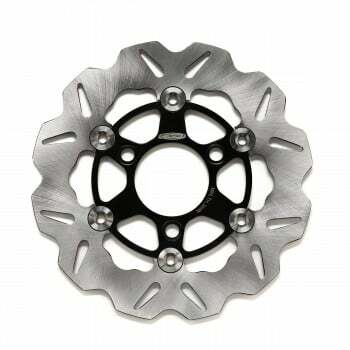 Chimera RKD Honda Ruckus Disc Brake Converter allows you to retain the OEM steel front rim when converting to front disc brake; eliminating the need to find a matching rim to go with the rear. Direct bolt on with very minor drilling and slight grinding where needed. Save time and money, purchase a Chimera RKD converter! 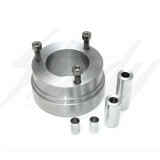 - Precut axle spacers to be used with Feign forks. 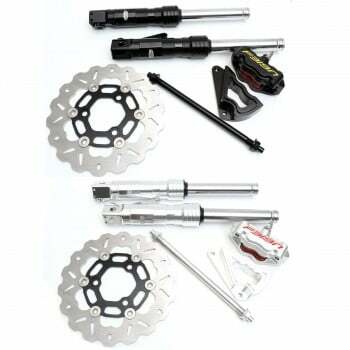 Highly recommended to be used with Feign SB front disc brake coversion as the spacers are made for that kit. -Speedometer will no longer work, we recommend upgrading to a digital speedometer for better accuracy. -Grinding is only necessary if the hub is a tight slip into the brake lining. The steel brake lining diameter varies in sizes depending on how many miles you have on your front rim. Put the hub adapter in place of the rim. 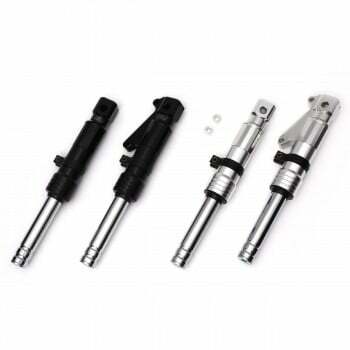 Using a long drill bit (smaller than 7mm [17/64"] diameter), drill the rim slightly to make a pilot mark on all mounting holes, make sure the drill bit position is straight. Remove the hub adapter, this would expose the pilot marks. Then drill the holes through on the pilot mark. Get a 5/16" drill bit or 8mm to enlarge the hole so that the M8 bolts would fit. You could also open it a little large if the holes are slightly off. Theses bolt holes are to secure the hub to the rim so that you could attach the disc rotor on there. Apply a small amount of BLUE Loctite on all bolts.